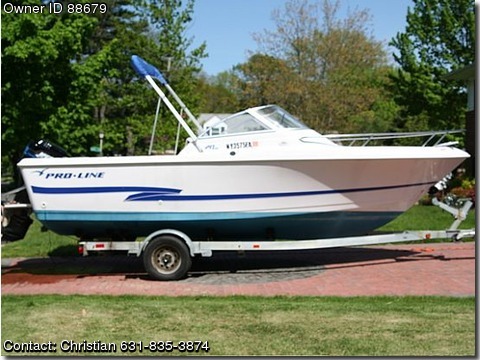 2003 Proline 20’ DC 200 HP Mercury Saltwater series 1998 Load Rite Trailer Options · Hydraulic steering · ½ Swim platform · Bimini top with ¾ enclosure · 2 sets full canvas · Garmin 240 blue fish finder · Water pressure gauge · Salt water wash down · Live well · Clarion saltwater c/d stereo with remote · Courtesy lights Description VERY CLEAN WELL KEPT BOAT. Owner upgraded and cannot run 2 boats at the same time. 50 mph + boat, that can handle whatever you throw at it. Water-ski, fish 4 people, or take a leisurely cruise.